Helix, an Illumina spinout focused on personal genomics, said today it achieved the first close of an expected $200 million Series B financing round, with the proceeds set to fund an expansion of the personal genomics startup's 'marketplace' of products based on next-generation sequencing (NGS). Helix’s market or “Helix Store” now sells 35 products from 20 partner vendors that apply insights gleaned from NGS sequencing of DNA contributed by customers. That number will grow to more than 50 products this year, Helix said, following planned launches that include health products from Mayo Clinic and other partners. The products come from partners across six categories: Ancestry, entertainment, family, fitness, health, and nutrition. Helix said each product is evaluated by its scientific team, and must meet the requirements of its Scientific Evidence Evaluation (SEE) process, which assesses the underlying scientific content and claims of each partner product. “Helix is entering an exciting phase of tremendous growth and opportunity. Our marketplace is maturing, we are expanding our health-related product offerings and we’re building a community of loyal and engaged customers,” Helix CEO Robin Thurston said in a statement. Customers begin by purchasing a DNA kit enabling them to submit a saliva sample to Helix’s laboratory, which incorporates Illumina technologies and according to the company is one of the world’s largest CLIA-and-CAP-accredited NGS labs. The kit typically sells for $80, though a few of the products allow customers to buy the kit for just $30. Helix sequences its customers’ 20,000 protein-coding genes, as well as additional areas identified by the company’s scientific team through the proprietary Exome+ assay. Helix says its assay yields 100 times more data than standard home DNA tests sold to consumers. 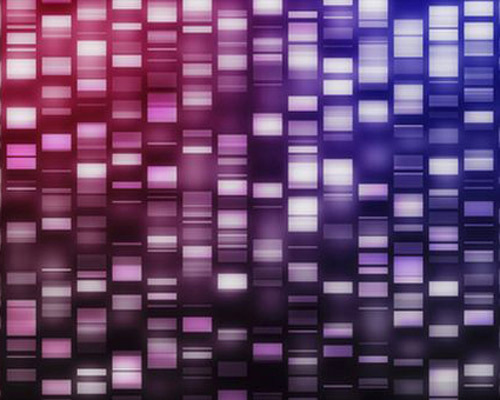 After customers’ DNA is sequenced, they can purchase one or more products. For $49.99, customers can purchase Diet GENius, which offers personalized guidance on losing weight and improving nutrition based on their genetic predispositions. According to Helix, partners an only access information deemed relevant to their product, to ensure that customers retain data privacy and protection, as well as total control of their DNA. Thurston said Helix is also working with the Healthy Nevada Project and other research partners seeking to undertake large-scale community health projects built on Exome+. Helix was founded in 2015 with funding from Illumina; the sequencing giant remains the spinout’s largest shareholder. DFJ Growth is leading the Series B financing, which includes participation from Illumina and all four other founding investors: Kleiner Perkins Caufield Byers, Mayo Clinic, Sutter Hill Ventures, and Warburg Pincus. Barry Schuler, partner at DFJ Growth and former Chairman and CEO of America Online, will join Helix’s board, the company said.